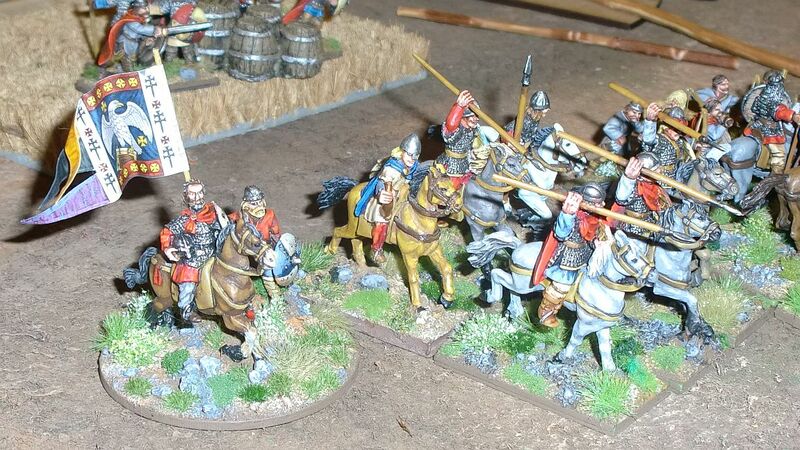 Recently I visited a wargames event nearby, to meet my fellow wargamers and to have a friendly game or two. 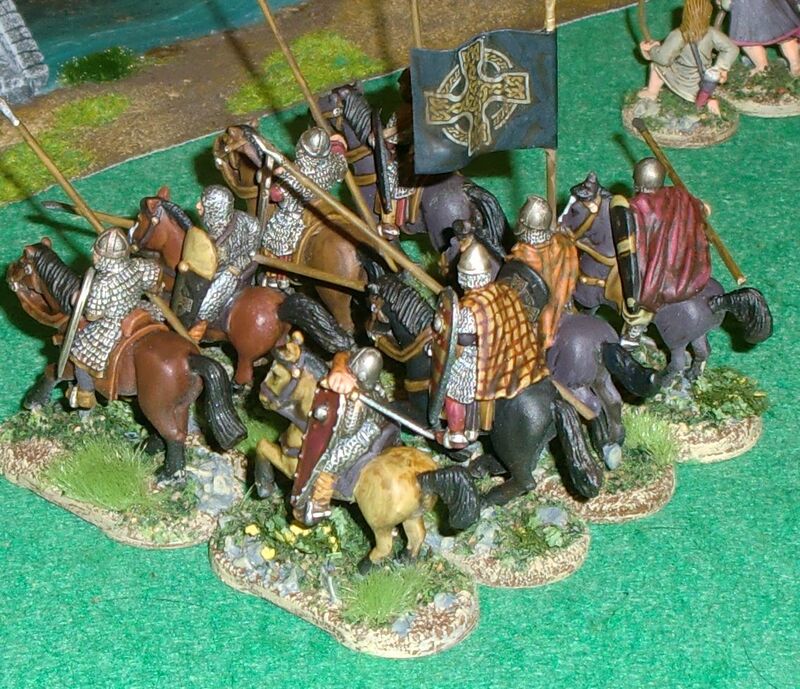 Besides other and more broadly popular wargames there was a small SAGA tournament. I took the opportunity to watch, discuss the rules, and even got to play a demo game. This helped a lot to make me more familiar with the unique rule system from Gripping Beast and to renew my appetite for the age of the Vikings! 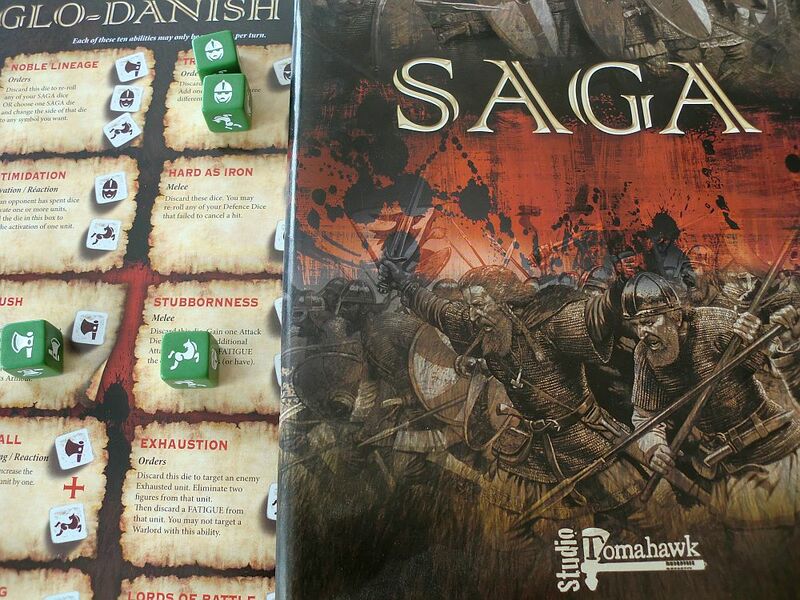 Three years ago I allready had made my first encounter with the then brand new rules of SAGA. The games system is built around battleboards, each specific to a single faction, where you use battle dice to activate units and special abilities. If you want to know more about the rules, you may want to read this review I found quite helpful. I was quite fascinated when I came across SAGA. There is was, the opportunity to paint a manageable number 28mm figures and to actually get to play with them. 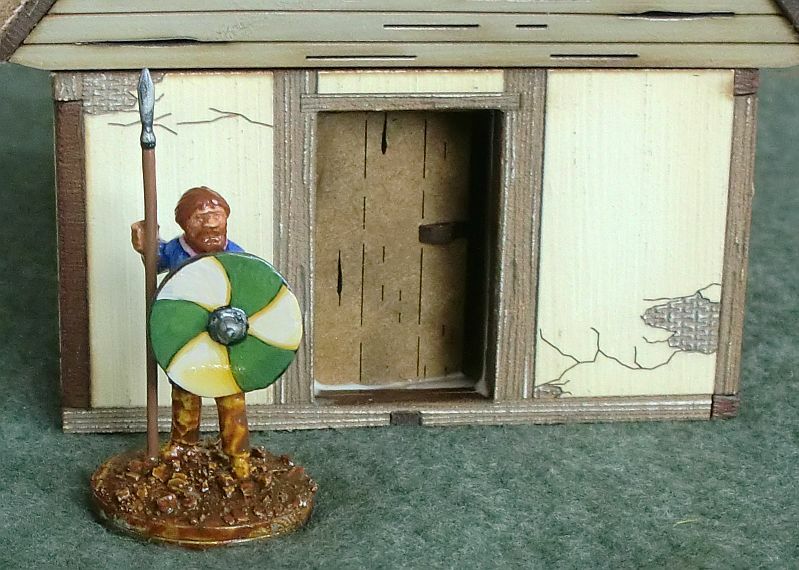 Gripping Beast offers starter boxes and I chose an Anglo-Danish warband with a chieftain, 8 Huscarls, and 16 Ceorls, 4 points in game terms. The announcement of a private SAGA tournament scheduled for after Christmas serves to boost my motivation to get the warband ready for action. The 25 figures I bought 3 years ago are all cleaned and coated, half of them painted. 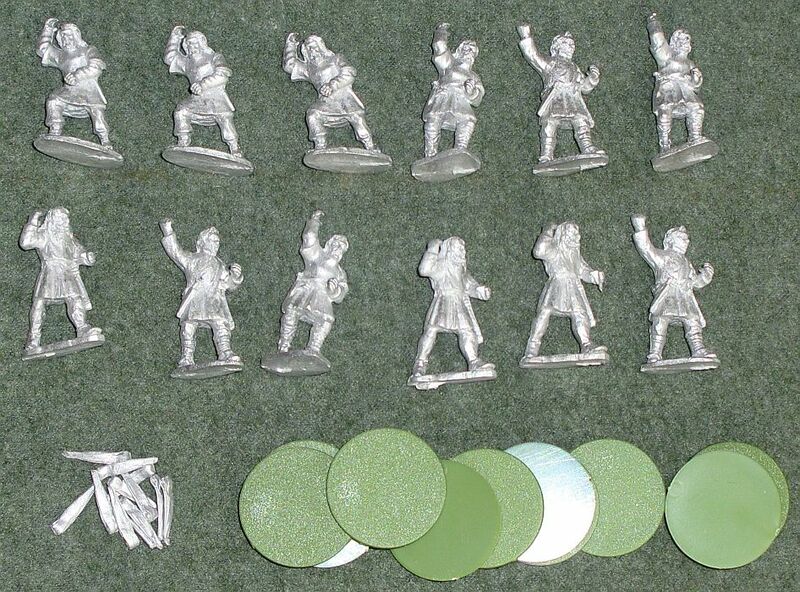 The 16 new figures will go through the process of cleaning, assembling, coating, and painting due short. Also I want to add some terrain. I started with an Anglo-Danish dwelling from 4GROUND. 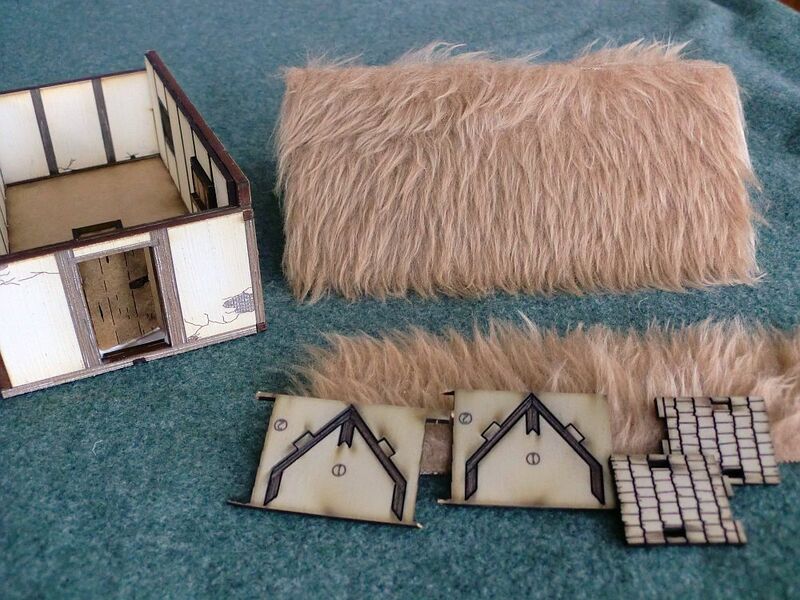 I am much pleased how easy the assembly went and how convincing the result looks on the game table. Stage one of the assembly is complete. After a 24 houres period of leaving the white glue to dry I can procede to finish the house. I will leave you now as the Anglo-Danish warband is calling me to the work bench. Read more of the Anglo-Danish SAGA in future posts.